View the entire table of contents for the June 15, 2015 issue. When Angelos Iatridis, a Bordeaux-trained enologist, set out to find the right site in Greece for premium winemaking, he sought the coolest climate possible. Since then, he's gained a reputation for crafting outstanding Xinomavro. He discussed his ambitions for Greek winemaking with Wine Spectator's Esther Mobley. 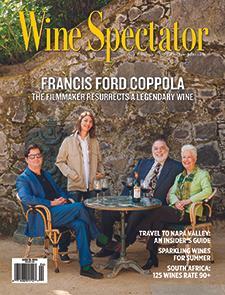 For the full article, check out the new issue of Wine Spectator, on newsstands May 19, 2015.